I find myself outside often, just leaning over the fence staring at them, they are so cute! They scamper and run, eat and poop. I swear the little brown one is straight out of the new muppet movie. We do love butter so I thought I’d buy some cream and make my own. I had NO idea how easy it was! 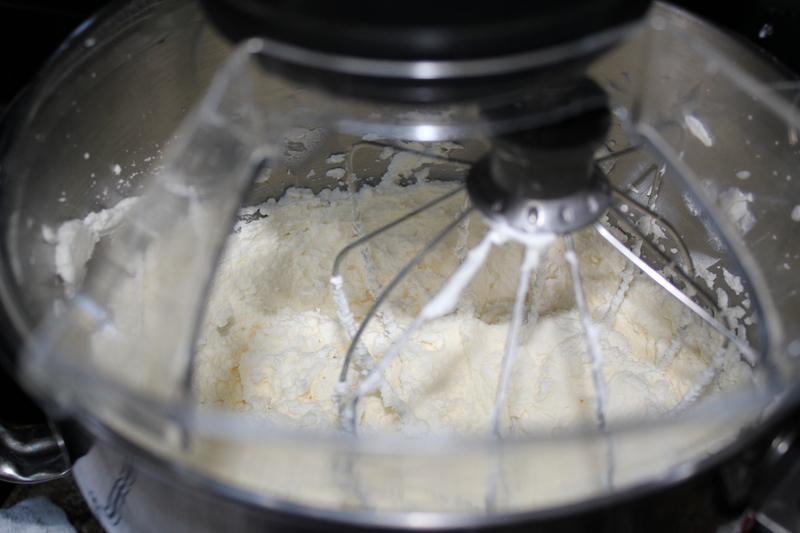 Now, I get fresh cream and make butter once a week. You really don’t have to watch it until the very end as it splashes. 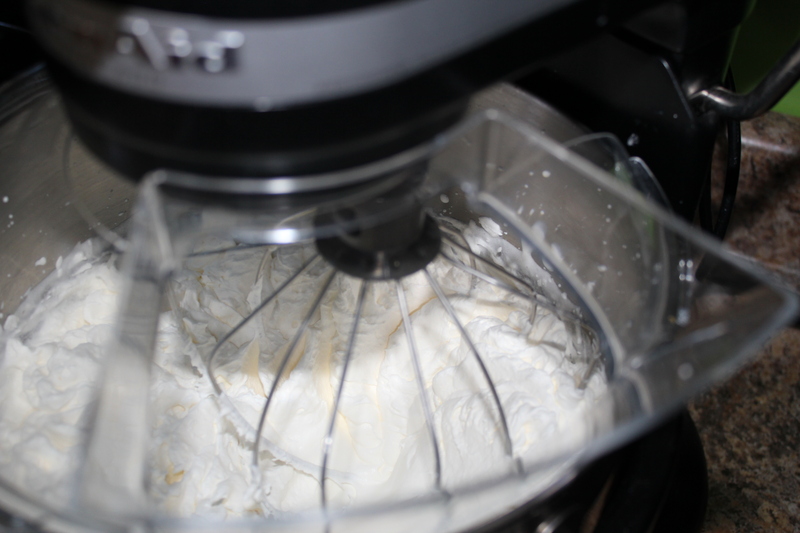 The whipped cream will become loose and chunky and you’ll begin to see the buttermilk separating. 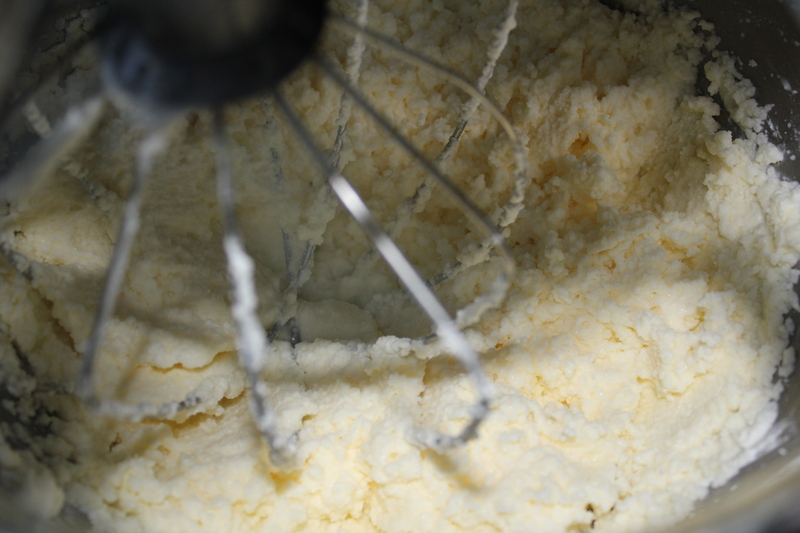 You might want to get a towel to put over the mixer at this stage as it will splatter…. When it begins to ball up, you’ve got butter!! Pour off the buttermilk and save it for a recipe. 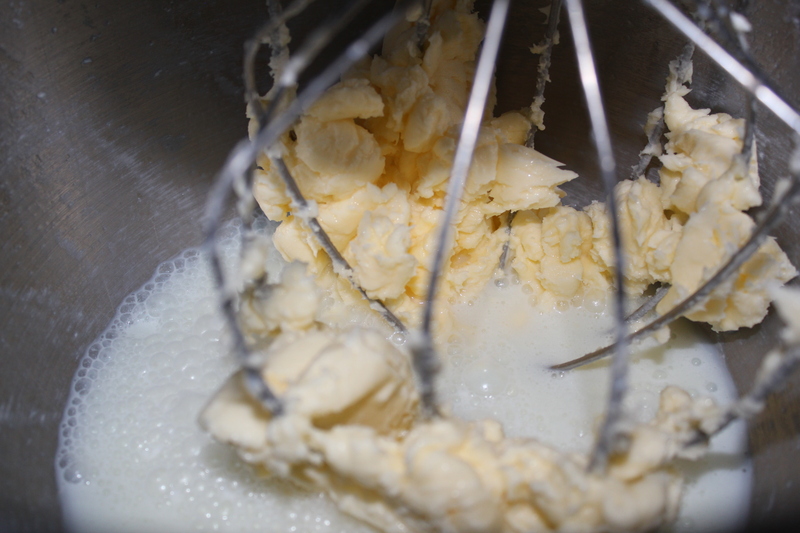 Take your butter and run it under very cold water while kneading it until the water runs clear. 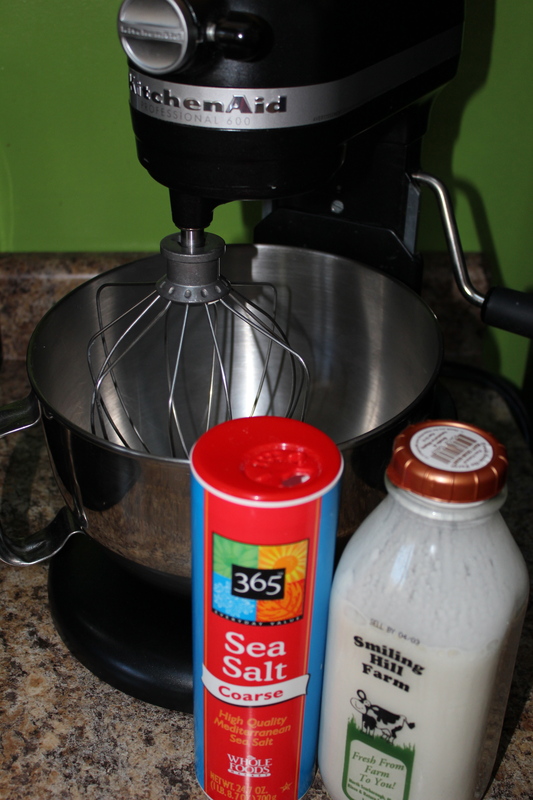 This washes the excess buttermilk out and makes your butter last longer. 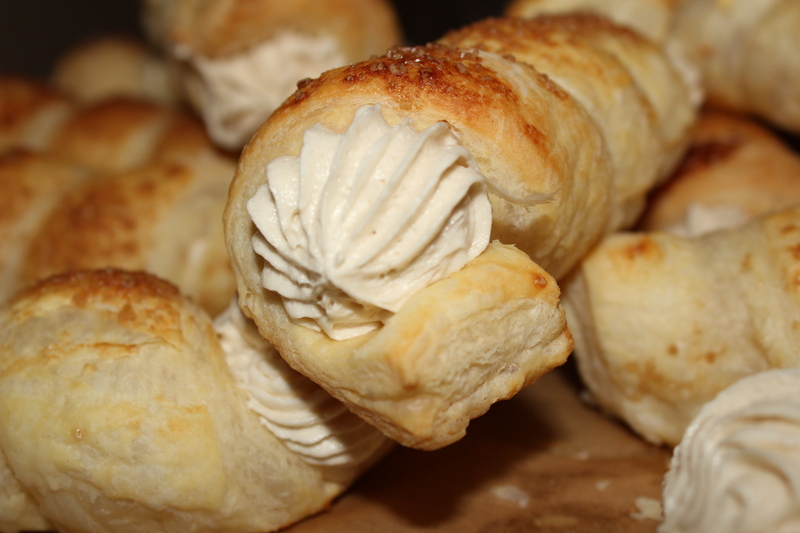 Use your fresh butter for some Salted Caramel Buttercream creme horns!! Mmmmm! 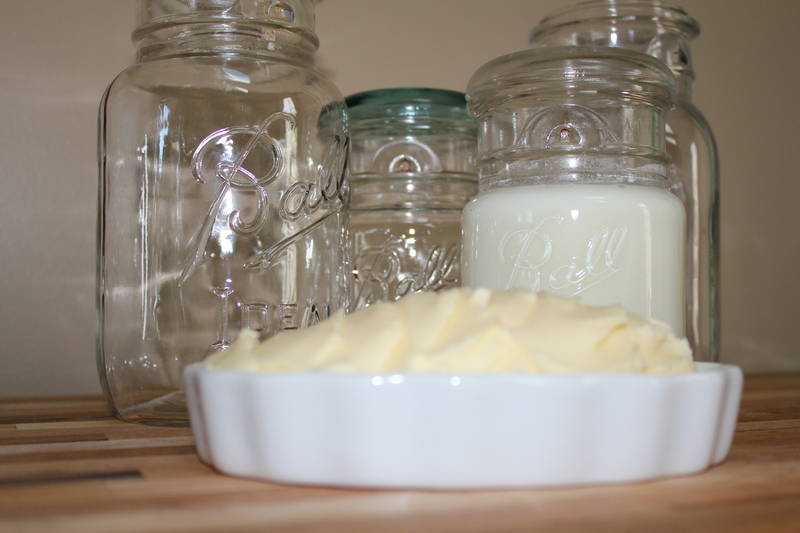 Now, on the subject of butter…I have read that to get a richer butter flavor it is recommended to let your cream sit out for about 12 hours to sour a bit, then churn it. I will try that next time, but I find this butter to be just delicious. You might also want to add a bit of vinegar to your buttermilk if you are using it in a recipe as most buttermilk is cultured (soured). As the grass turns greener in this area I plan on getting cream from local pastured cows and making bulk butter and freezing it. Milk and cream from cows grazing on new spring grass has so many more vitamins than any other time of year.